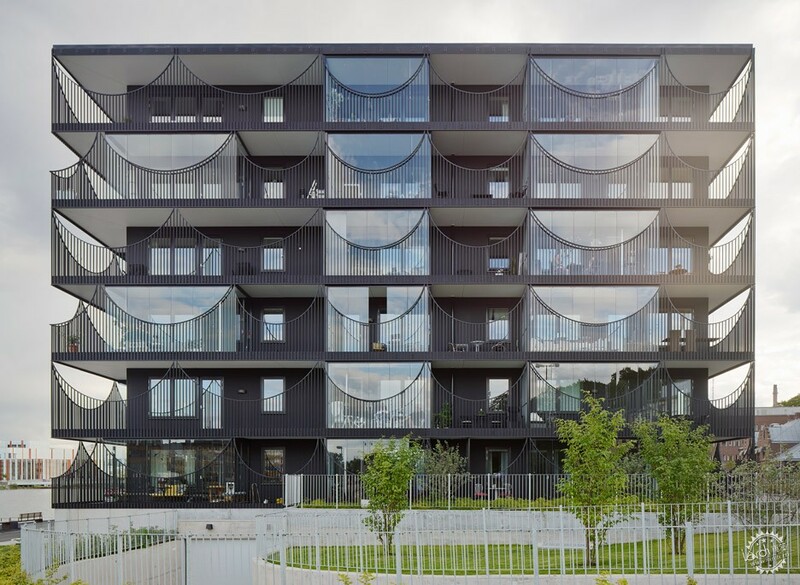 Scalloped balconies create unusually shaped openings across the facades of these two apartment blocks completed by Tham & Videgård Arkitekter in southern Sweden. 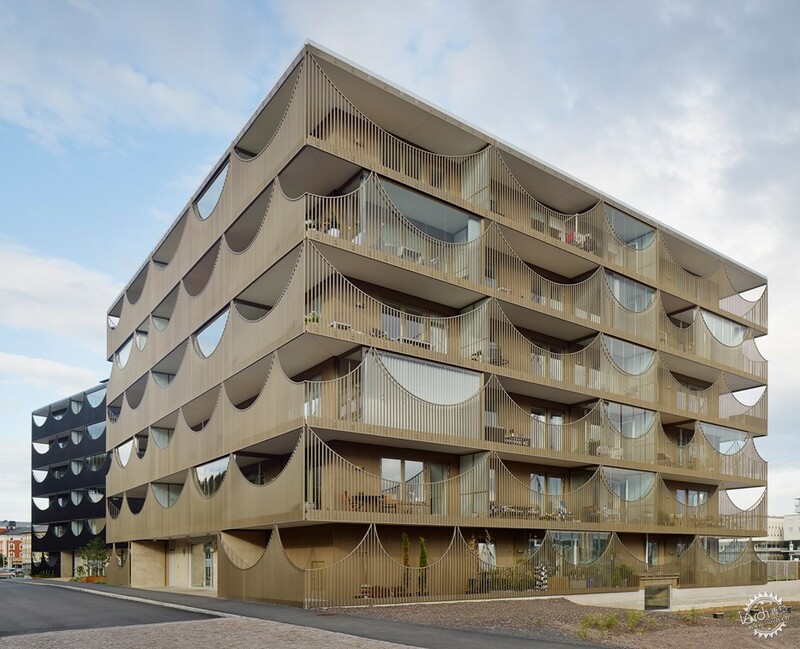 Stockholm-based Tham & Videgård won a competition to design the Västra Kajen housing in the lakeside city of Jönköping, as part of a wider masterplan to create more housing on the quayside. The two buildings are for two separate clients, so the architects designed them to be different in colour but to share a unique motif. This led to the addition of the scallop-edged balustrades, which flank balconies on all six floors. Constructed from anodised aluminium, these screens are reminiscent of hanging fishing nets. They form a series of upside-down arches that differ in size. 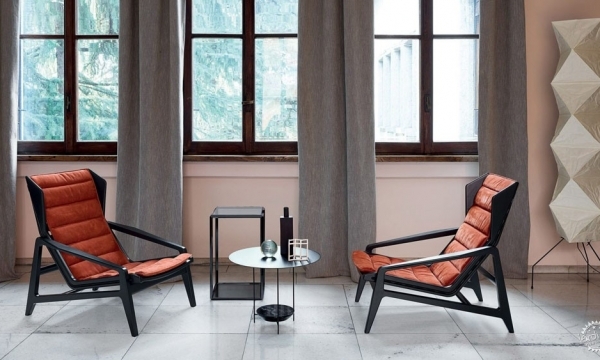 "We opted for a direct and clear expression for the two houses," explained Martin Videgård, who runs the studio in partnership with Bolle Tham. "The open and exposed situation along the shoreline with beautiful views triggered a facade which is both sheltering and transparent," he told Dezeen. 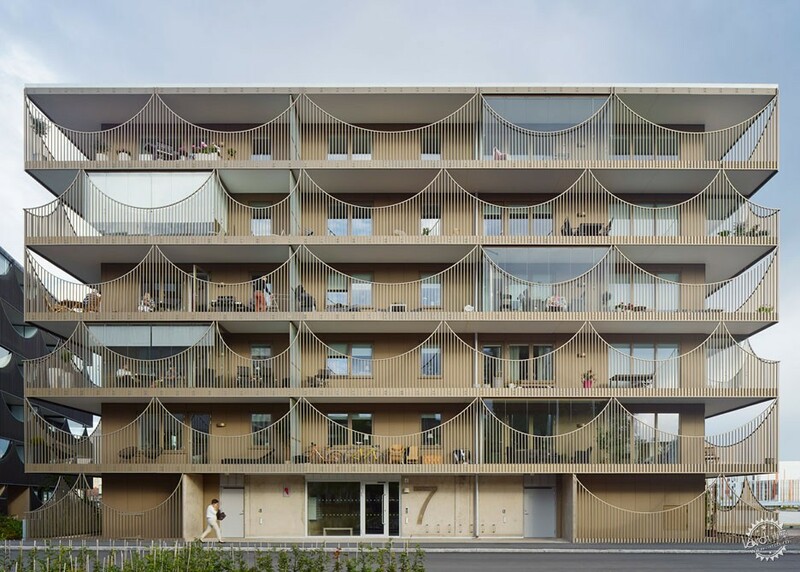 "The arch shapes met these criteria, as well as integrating partitions between the apartments." 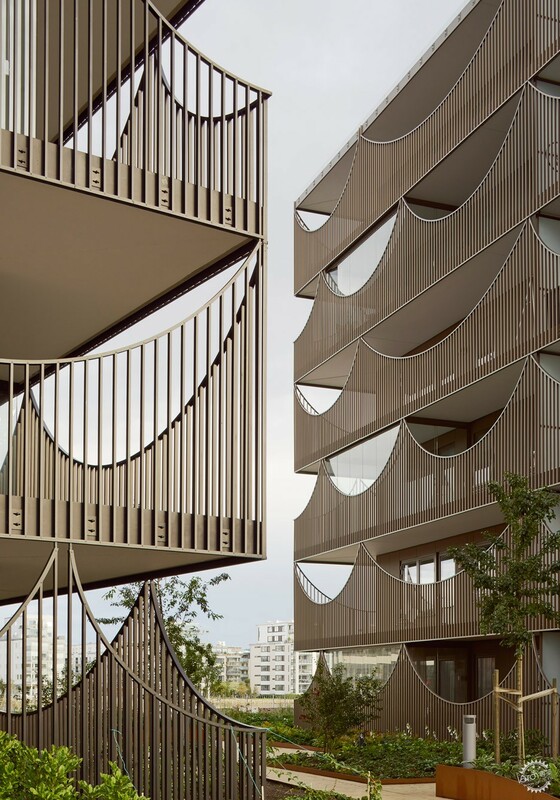 The balconies form a kind of outer skin for the building, allowing the actual perimeter walls to be recessed back. But both surfaces are finished in matching tones – black for the northernmost block and gold for the one to the south. 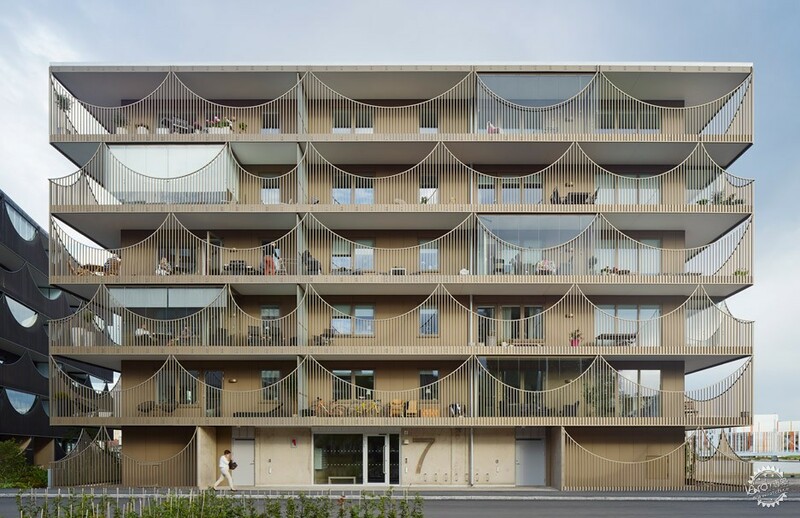 "The two different clients – Riksbyggen and Vätterhem – wanted to differentiate the two buildings, therefore it resulted in two slightly different anodisations," explained Videgård. Both buildings are identical in shape and size, with a square plan that wraps around a central atrium. This creates either five or six apartments on each level, totalling 37 for each block. 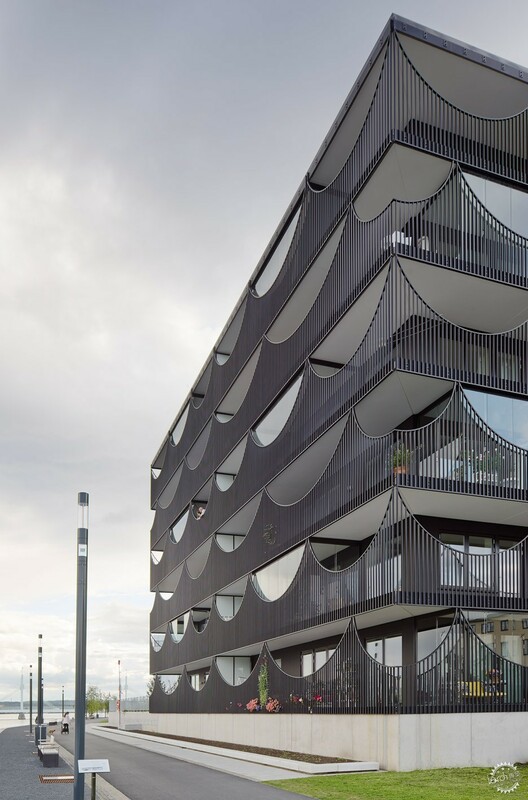 The majority of the apartments are located in the corners, affording them better light and views in two directions. Both atriums are among the few areas where the two buildings differ. 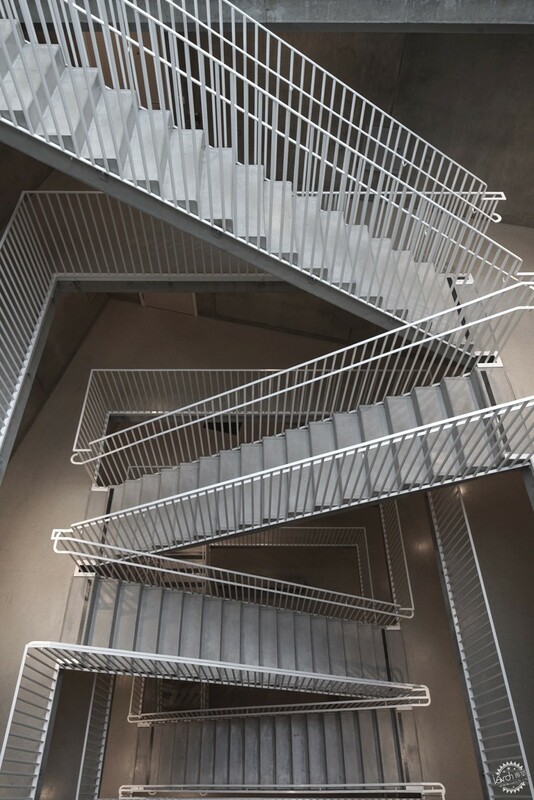 In one, square openings create a rectilinear stairwell, while the other features staircases that cross a circular void. But both are lit from above by generous skylights. 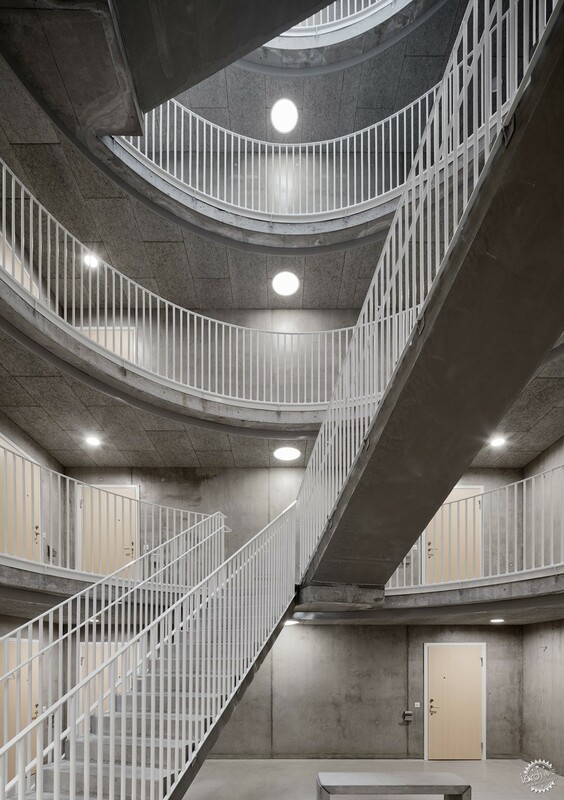 "A top-lit stairwell dignifies a grand entrance hall and provides an important interior space for visitors and tenants in which to socialise," said the architects. "The atrium hall also functions as a natural preheating of fresh air, thus contributing to over all energy efficiency." 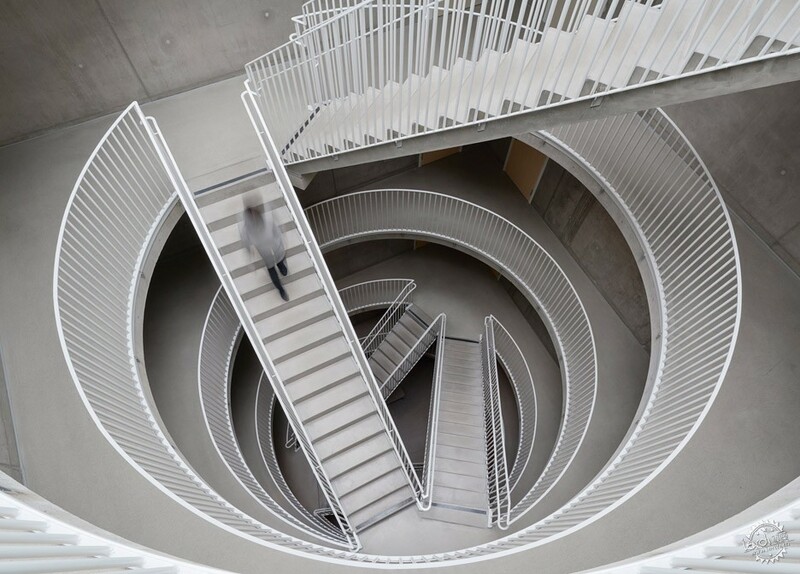 Tham & Videgård Arkitekter also recently completed a new school of architecture building at Stockholm's Royal Institute of Technology. 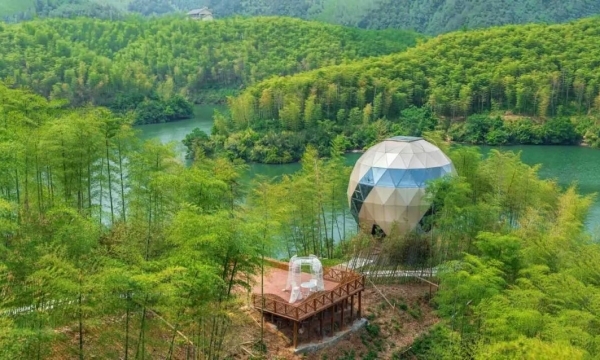 Other projects by the firm include a mirror-clad treehouse and an attempt to design Sweden's most desired house.